Hang ten and catch a cosmic wave, because the fan-favorite series is returning! 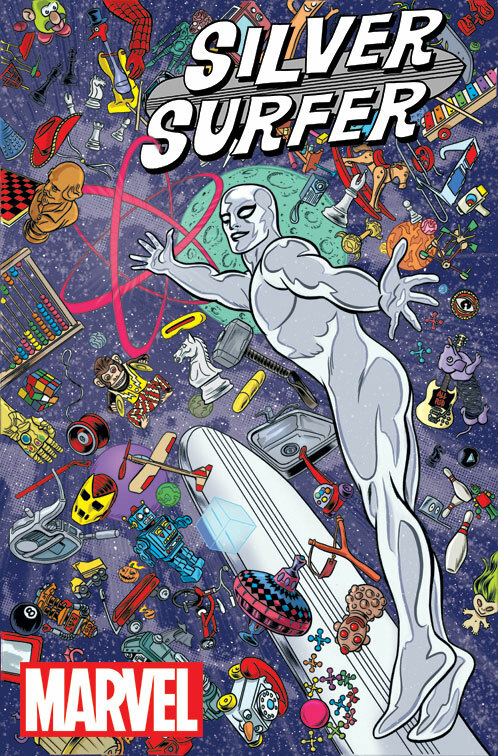 That’s right – Norrin Radd, Dawn Greenwood and Toomie will all return for a brand new ongoing series beginning in SILVER SURFER #1 this January! Fan-favorite duo Dan Slott & Mike Allred are back to chronicle the power cosmic fueled adventures of this trio as they embark on a new journey right in Dawn’s backyard! The Surfer has taken Dawn Greenwood to the edges of the universe and the end of the multiverse. Now he’s going to take her to explore the most fantastic planet of them all: Earth! Familiar faces and new foes lie at every turn. But the world is much different in the eight month gap since Secret Wars. Are the Surfer and Dawn ready for the changes in store? “We’ll definitely get back into space before too long, but after a long time away, we’re going to be reconnecting with the Earth and its inhabitants in a big way – and that includes both Dawn and the Surfer,” says Marvel SVP, Executive Editor Tom Brevoort in an interview with Marvel.com. It’s your home world like you’ve never seen it before. Complete with monsters, magic, and a secret that will change everything! 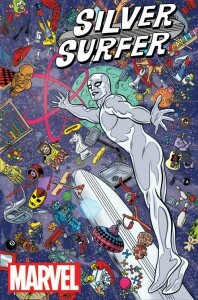 Hang on tight, it’s a new Surfer for a new Marvel Universe in SILVER SURFER #1 – coming this January!